July 1943. "Greenville, South Carolina. 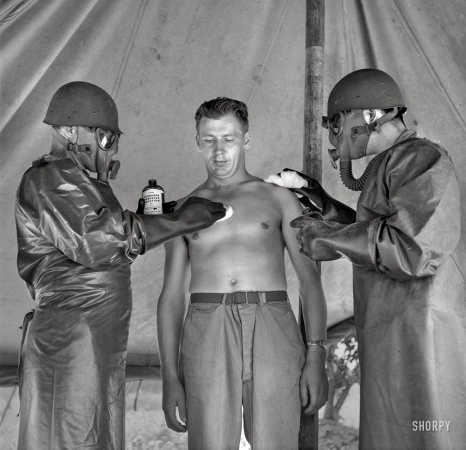 Medical unit of the 25th Service Group simulating the treatment of a gas casualty."